Lead support for Saving Washington was provided by Joyce B. Cowin and the Robert David Lion Gardiner Foundation. Additional support provided by Susan Klein. 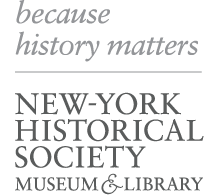 Exhibitions at New-York Historical are made possible by Dr. Agnes Hsu-Tang and Oscar Tang, the Saunders Trust for American History, and the New York State Council on the Arts with the support of Governor Andrew Cuomo and the New York State Legislature.